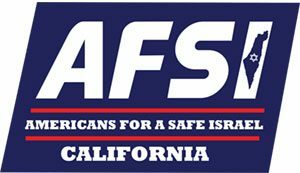 AFSI in California is your home for local events and resources in strengthening your connection to Israel in your community. PRINCIPLES – as an organization we are committed to the principles of Zionism and Jewish Tradition. We believe that the future of the Jewish People is only in Israel. It is incumbent upon us, therefore, to mobilize all of our resources to assure the survival of Eretz Yisroel HaShlema as the Jewish Homeland. Endeavor to assure that each and every one of our general meetings will reflect our PRINCIPLES and attract as many people as possible to our cause and membership. Encourage the immigration of American Jews to Israel as the highest Zionist ideal in order to strengthen Israel, further the continuity of the Jewish People, and guarantee that our own descendants will remain in the Jewish fold. In this respect, we should seek out and work with the Aliya representatives of the Jewish Agency and other like-minded organizations. Work with and assist Jewish college and univer­sity students in our region who find themselves under attack from the anti-Israel, anti- Jewish forces on the academic campuses. Here too we must seek out and participate with other Jewish organi­zations who are already involved in this effort. Wherever appropriate, encourage the involvement of Christians who support the existence of the Jewish People in Israel in our programs. The Jewish people are not only a national and political unit. Since their first appearance on the stage of history, they have been the personification of a moral will and the bearers of a historic vision which they inherited from the prophets of Israel. 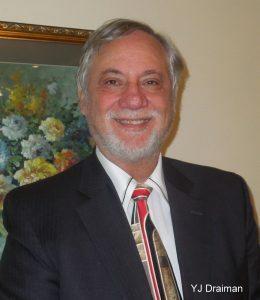 It is impossible to understand the history of the Jewish people and their struggle for existence—both when they were a nation rooted in their own soil and more or less controlling their own destiny, and when they were a wandering people, exiled and dispersed—unless we bear in mind the unique idea which their history embodies, and the stubborn opposition, not only physical, political, and military, but also spiritual, moral, and intellectual, which the Jews have always confronted. In ancient times, our most important neighbors were Egypt and Babylon. The struggle with these mighty neighbors was political and military as well as cultural and spiritual. Israel’s prophets spoke out against the spiritual influence of these neighbors on Israel’s religious-moral concepts and social patterns. They advocated faith in one God, the unity of the human race, and the dominion of justice. Today, the Jewish people, having held their own, appear again in the same area in which they evolved. The entire environment in this region has been completely transformed since Bible days. The languages, religions, civilizations, and the very names of the ancient Middle Eastern peoples have disappeared. Yet Israel, though largely uprooted for two millenniums, continues its ancient traditions of language, faith, and culture—as it were, uninterruptedly. Israel’s Safety and Security Above all and at all costs. The State of Israel must always keep in mind its own sovereign obligations and be careful not to risk its capacity to perform the vital task of defending itself, its people, and its interests. Israel even under the most adverse conditions, it shall not capitulate to world pressure whereby its citizen’s safety and security is compromised. Israel must expel all Arabs who conduct and incite terror and violence, zero tolerance. Israel has a responsibility to defend its people at all costs no holds barred. If all else fails, Israel may have no choice but to level Gaza and the Hezbollah in Lebanon. Israel will have to respond just like Britain and the Americans did to Germany in WWII when Hitler sent missiles the v2 rockets to London. Israel is on its own historical territory of over 3,800 years, that with hard work and toil have turned the desert into green pastures with a first class technology and innovation that is helping all the people and nations in the world. It is the Arab Conflict, not Israel. The Arabs want what Israel has; which they built with blood sweat and tears; well they cannot have it.